We then weigh for our clients the cost of litigation against the possibility of settling out of court. We advise you of the most practical option based on your unique circumstances. When litigation is indeed the best alternative, our attorneys are skilled litigators who present clear and concise arguments to the judge and/or jury. From offices in Sevierville, our attorneys advise and represent clients in communities throughout the Knoxville area and East Tennessee. We also represent those from outside the area who have a need for legal services in East Tennessee. Clients know that they can count on our firm being here to serve them for the long term, as we have been doing for over 60 years. Call us at 865-453-2866 or use our convenient email contact form to schedule a free initial consultation with one of our experienced Sevierville litigation lawyers. Our attorneys can help you weigh your options and make the smart and informed civil litigation decision. Call 865-453-2866 to speak with our attorneys. To prepare for small claims court, you need to collect any documents, photographs or testimony that could be evidence of your claim. When a defendant does not show up at trial, the plaintiff is generally awarded the dollar amount of his or her claim plus court costs. When a plaintiff fails to appear, the claim is dismissed. In some cases, our attorneys recommend mediation as an alternative to small claims court. Both parties have an opportunity to discuss their needs and reach a compromise that addresses their concerns. Mediation is often a more cost-effective alternative to courtroom litigation. However, if compromise is impossible, a cost-benefit analysis is definitely required before you decide to hire an attorney to represent you in small claims court. In Tennessee, small claims court handles claims of $25,000 or less. When the dollar amount you would pay your lawyer is much more than the dollar amount you would recover or have to pay, it is often not worth the cost to hire an attorney. 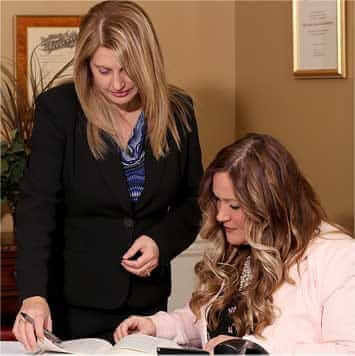 Our attorneys will fully and fairly advise you regarding whether we believe that hiring counsel is in your best interest. Our attorneys can help you weigh your options and make the smart and informed civil litigation decision. Call 865-453-2866 to speak with our attorneys. We serve clients throughout Tennessee and out-of-state clients who have civil litigation issues.